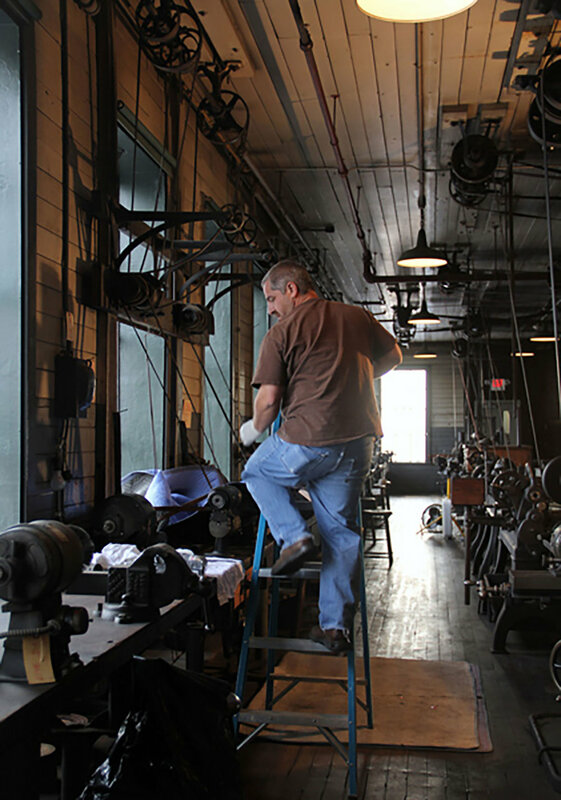 B. R. Howard & Associates Inc. was contracted to develop guidelines for and perform the conservation/stabilization treatments of 37 machines located on the second floor of the Edison Machine Shop main complex. 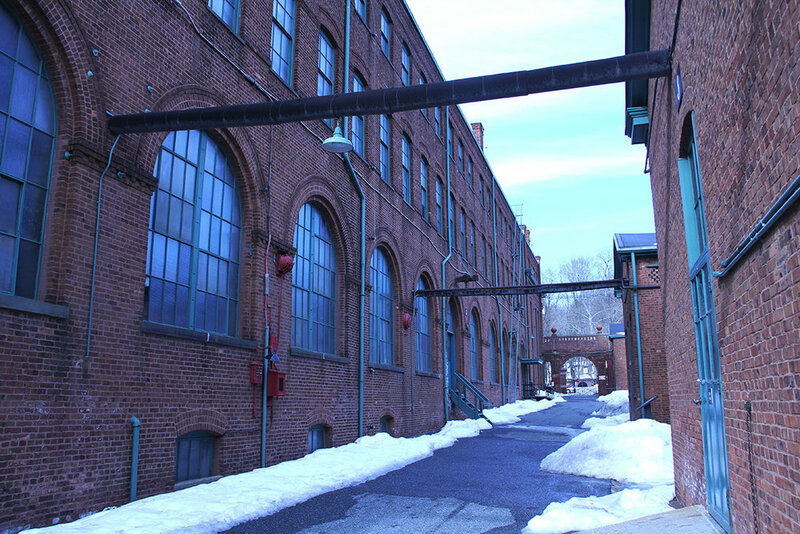 Thomas Edison's sprawling laboratory complex sits behind a brick archway in the town of West Orange, NJ. When he had outgrown his previous space at Menlo Park, he relocated here in 1887 where he continued his experimentation and filed 1,097 patents. B.R. Howard's goal was to enhance the aesthetics of the machinery and ensure its longevity utilizing proper preservation techniques without giving the equipment a restored appearance. BRH developed a conservation treatment approach, incorporating quality control checks throughout the preservation element of the project, and provided guidelines for annual maintenance and upkeep. The equipment sat for a long period of time, covered in grease and lubricants, which collected dirt and dust over the years. The inscribed operating diagrams, lines, and markings were no longer visible. Numerous movable components had seized up and there were areas of surface rust and flaking paint on the machinery. Solubility tests were performed prior to cleaning to determine which cleaning methods could be used without causing further damage. The old grease and hardened lubricating oils were then carefully removed. All areas of flaking paint were consolidated using non-yellowing, reversible synthetic resins. Partial disassembly was needed to unlock components that were seized and then re-lubricated. The leather belts were properly treated and an isolation barrier was placed between the surface of the belts and the metal surface to prevent future corrosion.